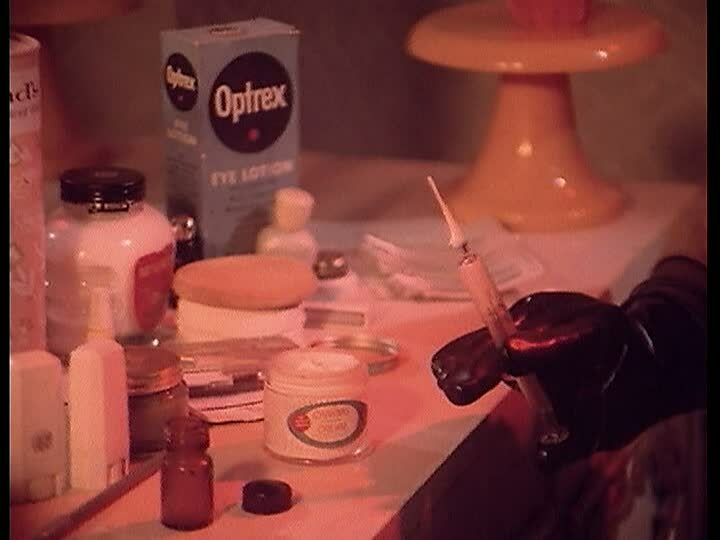 My life is tragically underpopulated by Indian secret agent films, but I'll be murdered by poisoned hemophilic face cream if Keemat doesn't do its best to fill the void! Prem Chopra looks a lot like Futurama's Hedonism Bot in this film. 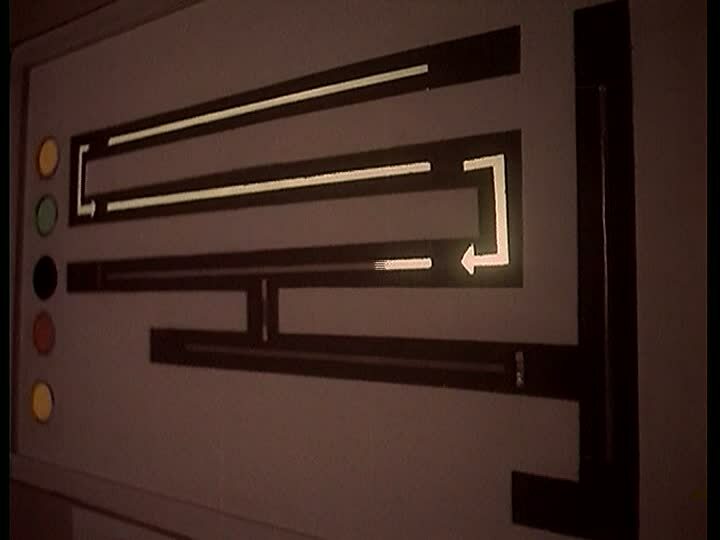 This map shows the path of the captives in the lair as they try to escape. Handy! I especially like the arrows. In case you haven't put away your Christmas decorations yet, Keemat has plenty of ideas about what to do with them. 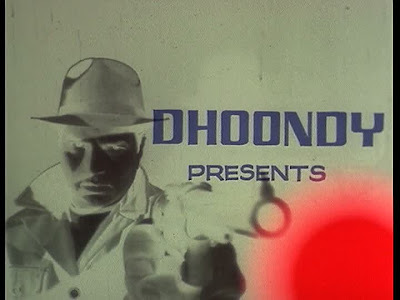 • and even dry delivery by the lead agent Gopal (Dharmendra) and occasional droll humor. "Hello 1973. Prepare to meet your style-makers." Colorful, synthetic, sparkly saris; big hair; and polyester suits and ties. What more could you want? 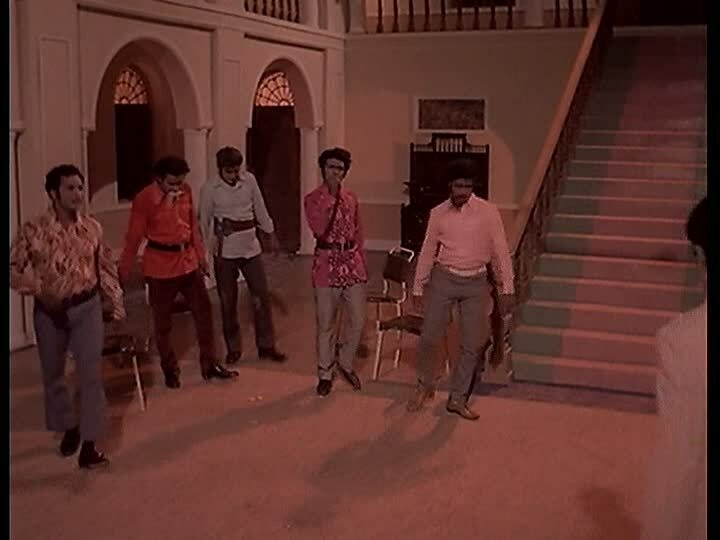 • and a nice variety of songs, including one chronicling poor Nanda (Padma Khanna)'s descent into Pedro (Ranjeet)'s world; a cabaret number by Jayshree T; Rekha drunking in her nightie; and the big number featuring the enslaved girls being auctioned off to a room of international buyers. 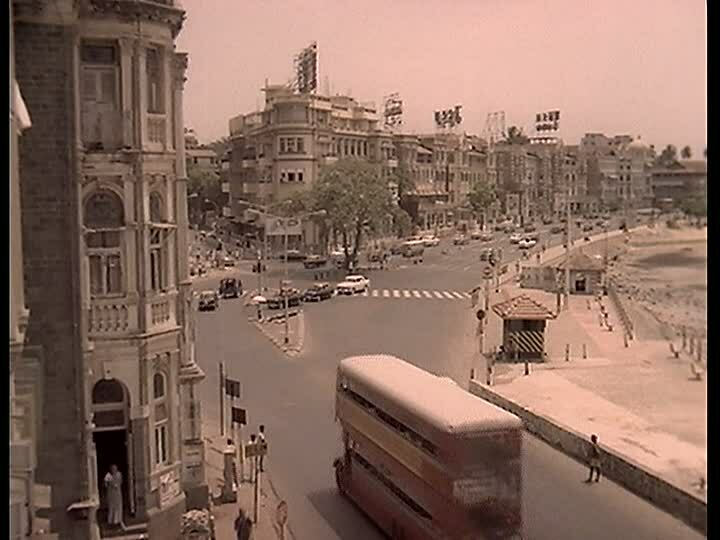 Ordinarily I don't want my entire post on a film to be lists, but that's really what Keemat is. It is a wonderful collection of fun ideas and scenes that don't add up to much, but that doesn't matter because everything is so enjoyable. 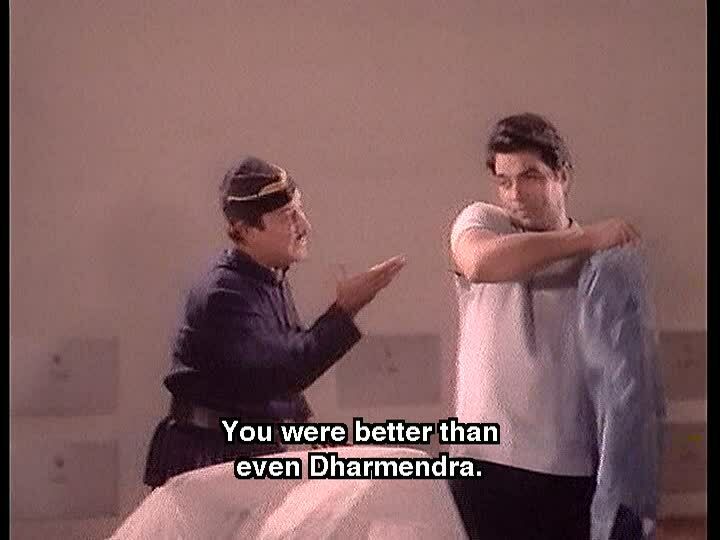 Ogling Dharmendra's laid-back heroics is the best reason to watch Keemat. 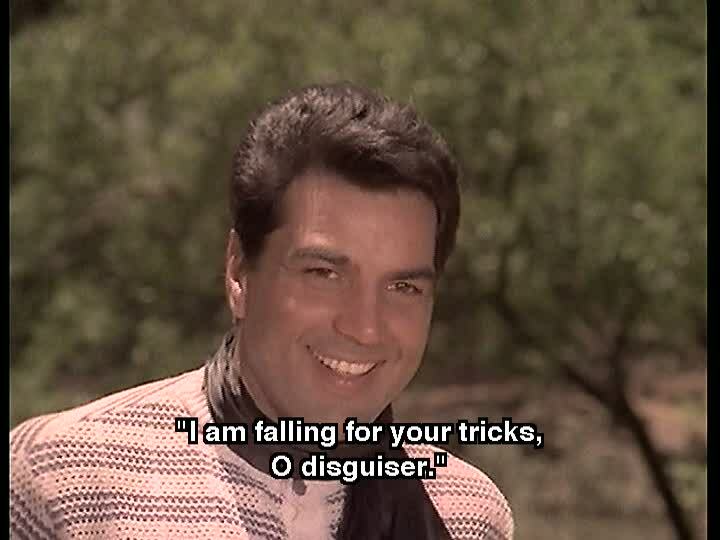 He smiles throughout his encounter with Prem Chopra and all but winks through most of the film, happily dispatching baddies with barely a hair out of place before delivering one-liners or making out with the heroine Sudha (Rekha). Sudha is a strange combination of feisty but girlish. She makes some very big decisions calmly and coolly but also acts petulant at times while batting her eyelashes at others. That's probably why I didn't quite buy her relationship with Gopal - we've all seen more convincing romance from both these actors elsewhere - but once again, it probably doesn't matter much because we in the audience just happily go along with what Gopal tells us we want, as does everything/everyone else in the film. 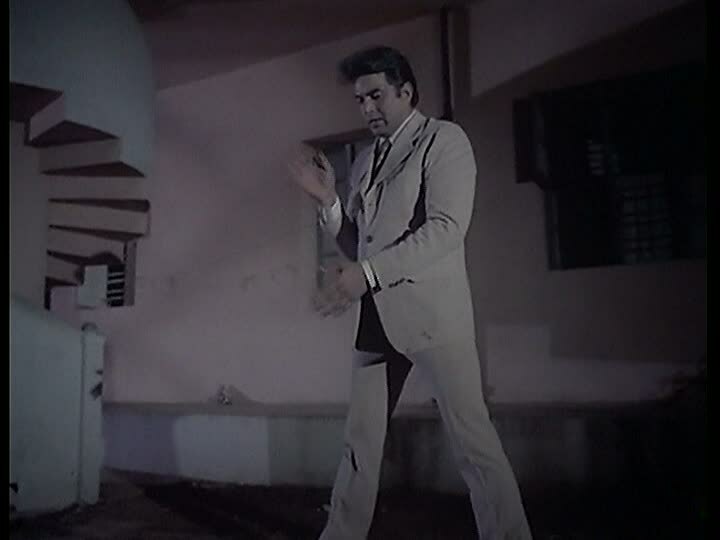 Laxmikant-Pyarelal's music is fantastic, very stylish without overpowering the other elements of the film. Agha and Rajendra Nath share comic duties but not in a bad way; even with the caveat in place that Rajendra Nath is my favorite CSP actor from any decade, I don't think either of them is on screen enough to really annoy. An interesting note about women in this film: if the subtitles are correct, the bad guys state that part of the brilliance of their plan is that none of the girls they ensnare will be able to leave their clutches because their bad behavior means their homes will no longer welcome them, thus leaving them even more desperate and dependent. 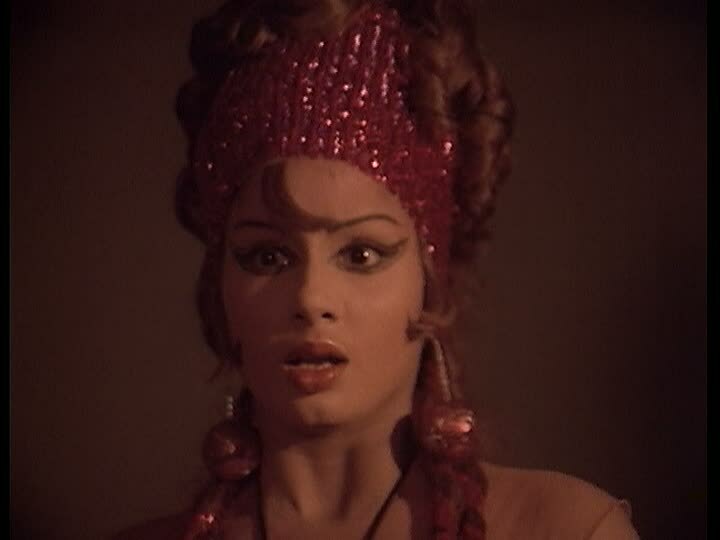 Fortunately, the film makes no such judgment; Gopal's rough treatment of victim Nanda is, I think, more to get information out of her than a moral reaction. (And if it were, he'd be an outrageous hypocrite - not that that usually stops film heroes....) Sudha, who is also Nanda's sister, even flat-out says that she will take her sister back no matter what she's done or where she's lived. 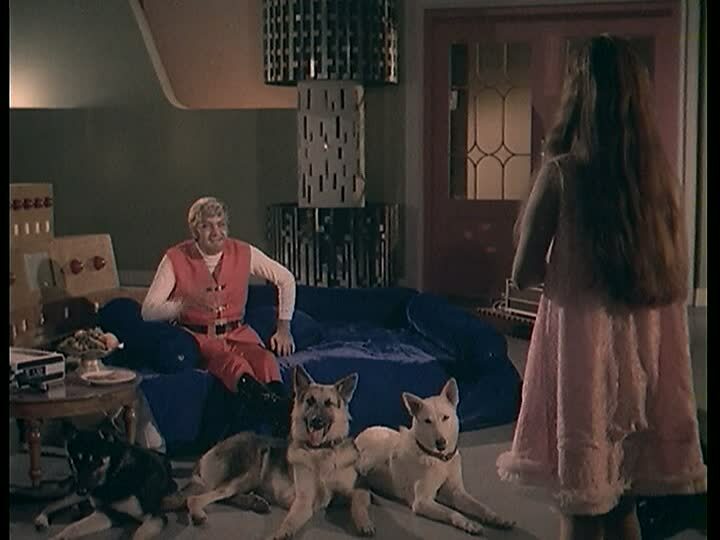 Even the heroine herself behaves a bit naughtily (drinking, staying the night at a strange man's house, kissing her fella as he reclines on a bed) with no regrets and no consequences! This attitude too fits the vibe of the movie. Director Ravikant Nagaich, last seen on Beth Loves Bollywood at the helm of Wardat (though perhaps it's a stretch to imply that someone was actually in command of that movie), seems to take a James Bond (the character)-like approach to running this whole project: that is, maximum results with minimum effort. A lot is done with looks and visual connections rather than dialogue, which suits Gopal's demeanor perfectly. Interesting ideas that could have been more prominent threads or at least points to reflect back on here and there, like poverty and dead-end home lives driving these girls to sign up with the likes of Pedro, who is clearly disgusting, are dropped. Similarly, a few characters arrive and depart with no real context in or impact on the story. Ordinarily I'd find that kind of sloppy, but this film is so hero-oriented that it almost makes sense not to have done more with some of the potential present. 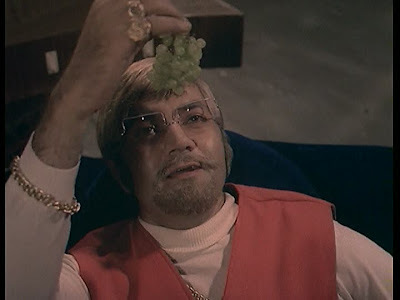 The more I think about it, the more the film seems like Gopal reminiscing about events in his own solipsistic memory, not just because things are focused on the hero but because everything unfolds in a style that matches his character and the elements included are the aspects of the story he'd want you to know. Thankfully, he's a good storyteller. 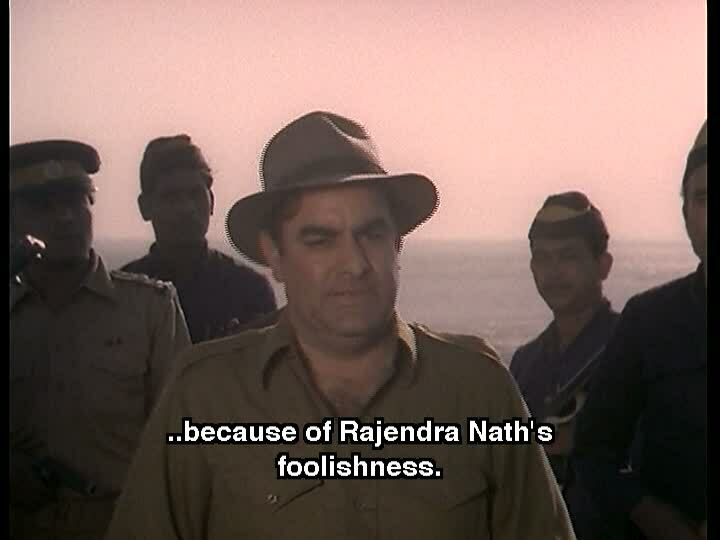 Gopal and Keemat definitely deliver on good, suave, silly, dishooming fun. I love reading your reviews on older Bollywood films, I just can't get myself watching many of them, but when I read your reviews, it's like I've caught a glimpse on the films. Lime(tte) - I'm glad you enjoy! I'm curious why you don't think you'd watch any? bwahaha that map...it is like one of those ps2 games, I love it. Dharmendra looking so debonair, I guess reason enough to watch the film! Holy Masala I need to watch this pronto for all my makeup and for more vintage splurging! 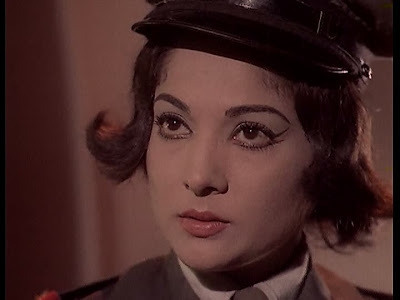 I usually do my eyeliner the somewhat connected way like Saira Banu does it, but this new style is gonna be my task of the week hopefully not to attract any gawkers! 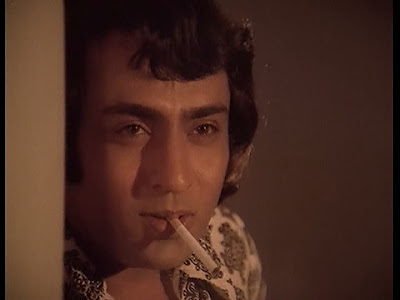 I like the semi-progressive vibe from this film and the heroine Sudha seems to be in that long scheme of heroines who vamped it up like Zeenat in Hare Rama Hare Krishna. This Deol Dhamaka has already paid! never-evil - I LOOOOVE the map! 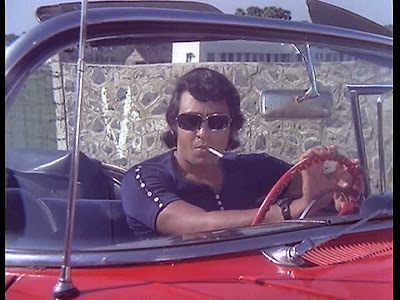 I want one as I go about my daily activities :) And yes, Dharmendra is rockin' the suits (and disguises!) in this one. memsaab - You know, as soon as your comment popped up I thought "AAAAAH I see what she means!" I can't un-do my initial impression but I can at least add now that I think the seeds of some grim - and interesting! - commentary are definitely in there and for whatever reason didn't leave much of an impression on me. Was I too dazzled by the AWESOME EYELINER? I will second your assessment of this as semi-progressive. 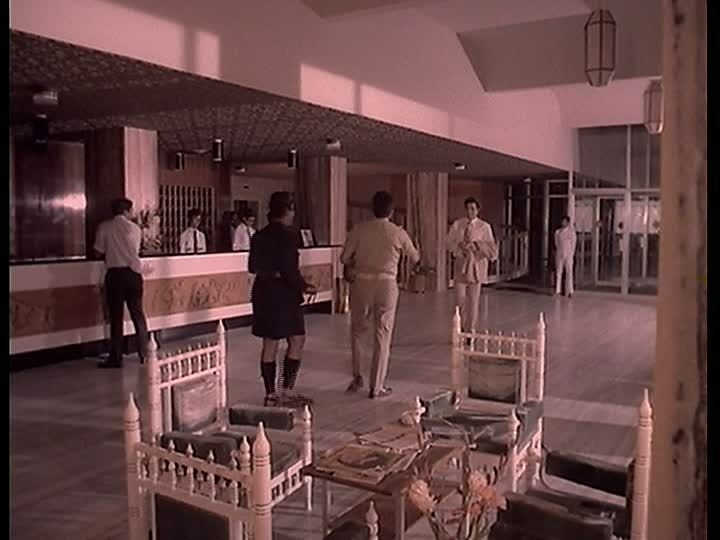 Nobody in here except the obvious human traffickers is judged - how satisfying that the villains' scheme based on moralizing shaming was EPIC FAIL! I think Ravikant Nagaich is in danger of becoming my favorite Bollywood director. I have been reading your blog for a while and quite enjoy it. Todd - That sounds logical to me! Mita - Welcome and thank you! 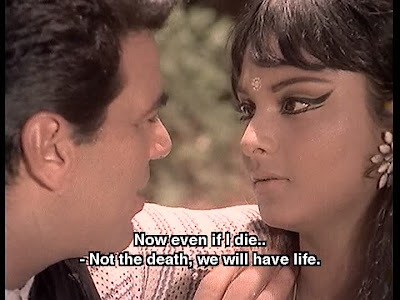 I have indeed seen Bobby (review here http://bethlovesbollywood.blogspot.com/2006/12/21st-century-girl-bobby.html) but not Banarasi Babu - I'll watch anything with Rakhee! I'm with you, let's time-travel into 70s Bollywood and never look back. Even this is the first time I am visiting this blog for first time I am proud to say that I am the great fan for this blog officially. 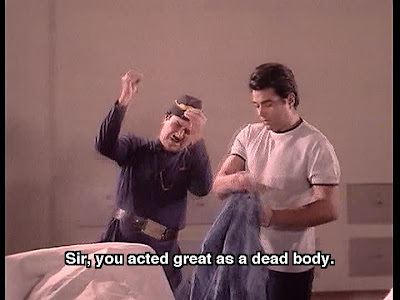 How have I not seen this? What a find. Fab review. ITG - If you aren't spam, thanks! SVH - YOU MUST SEE IT. 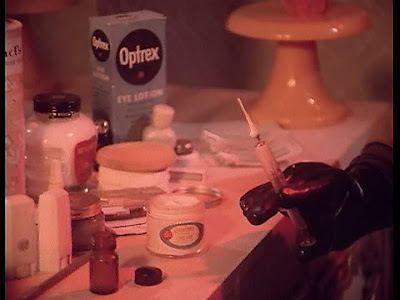 :D Sometimes, amid all my glee for/with/because of 70s films, I get very sad in a moment of realization that someday there will be no more 70s films to discover. But then I immediately cheer up when I remember that I can just re-watch them. Hey Beth, I really love your blog, and I would really appreciate it if you took a look at my blog Bolly Beat. 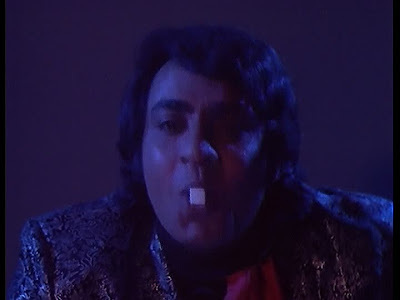 www.bollybeat.blogspot.com. You are on my blog roll! I have enjoyed reading. .Thanks for taking the time to discuss this, I feel strongly about it and love learning more on this topic. *When I originally commented I clicked the -Notify me when new comments are added- checkbox and now each time a comment is added I get four emails with the same comment. Is there any way it is possible to remove me from that service? Thanks!